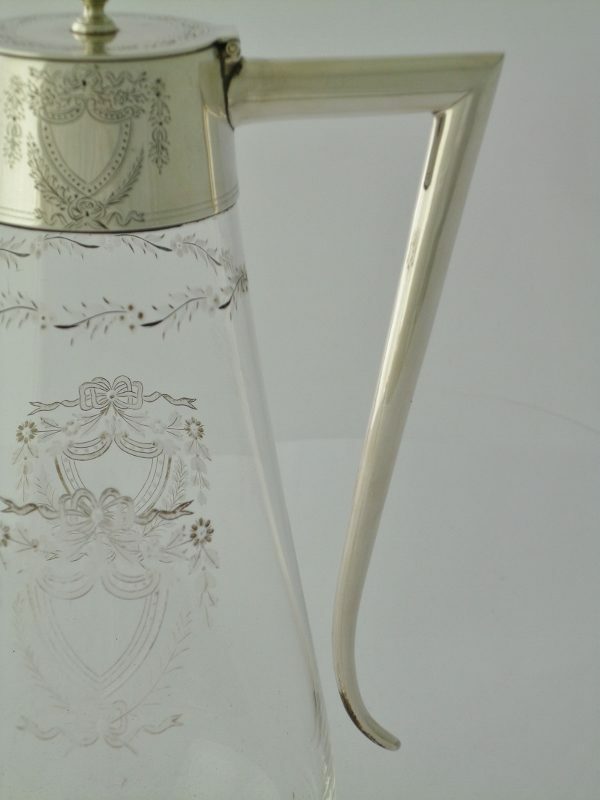 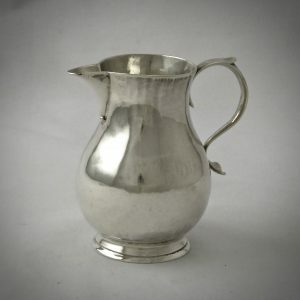 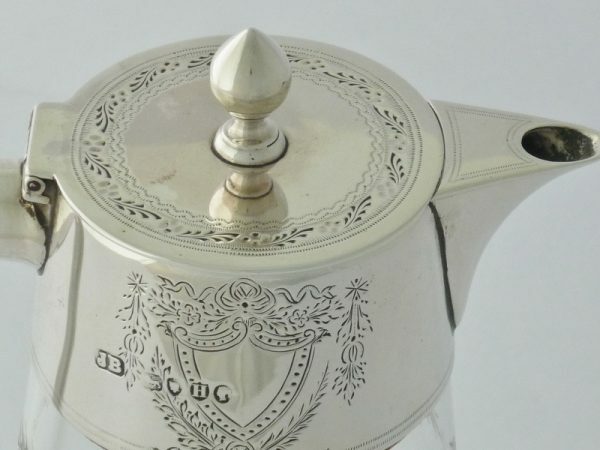 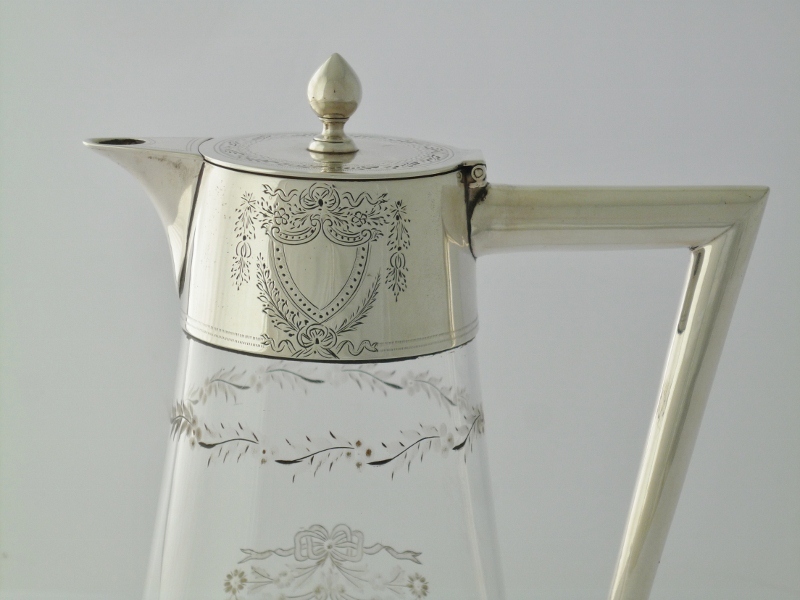 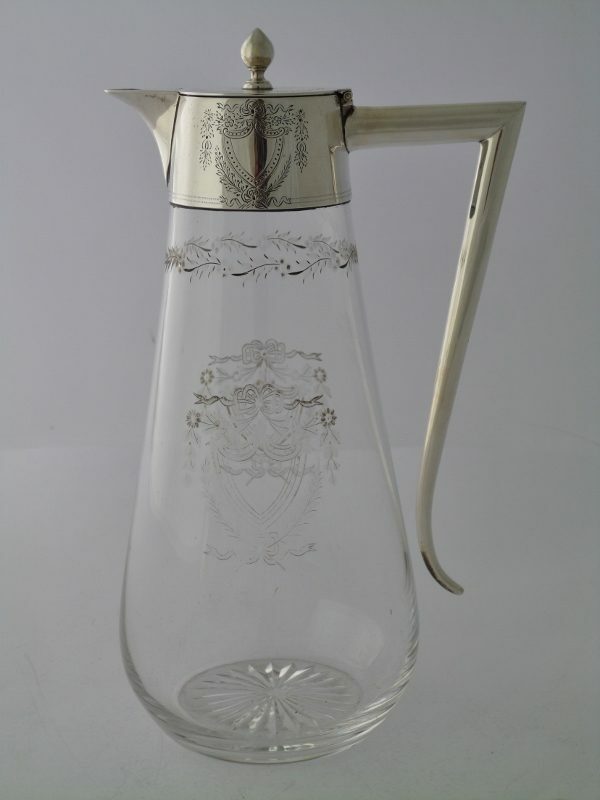 Victorian Claret Jug – Jack Shaw & Co.
A silver and glass claret jug with plain angular handle. 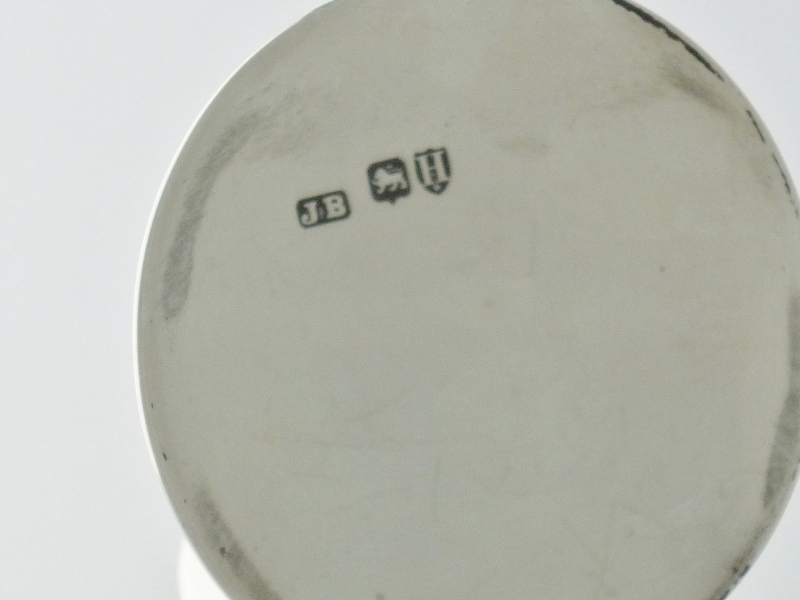 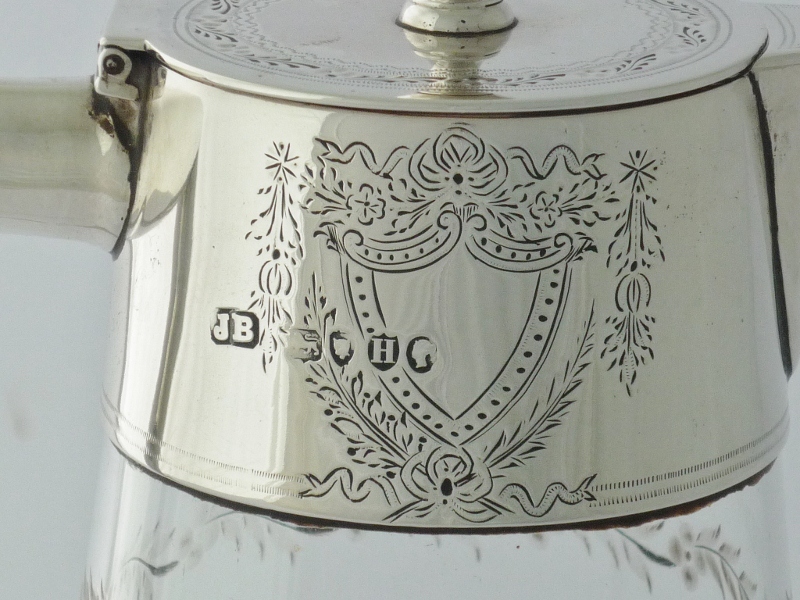 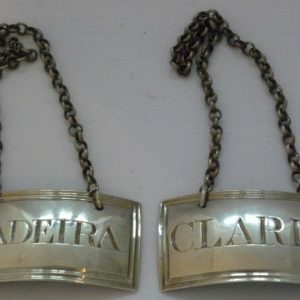 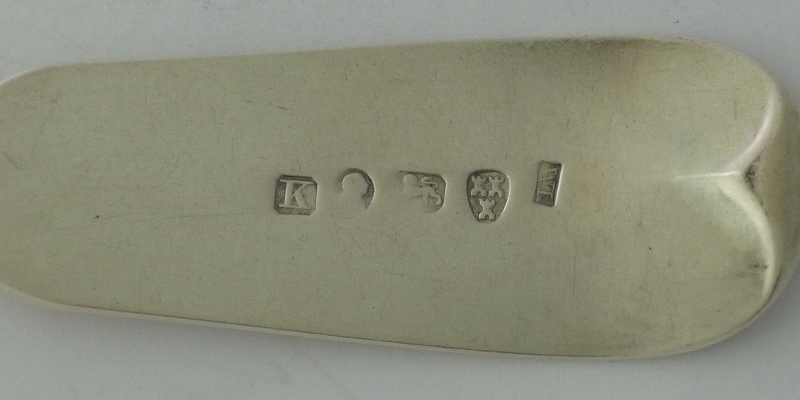 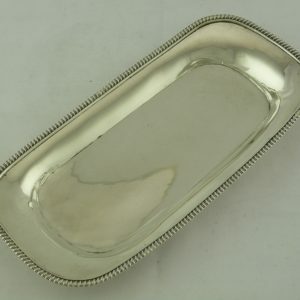 The vacant shield shaped cartouche is engraved to both the silver top and the glass body. 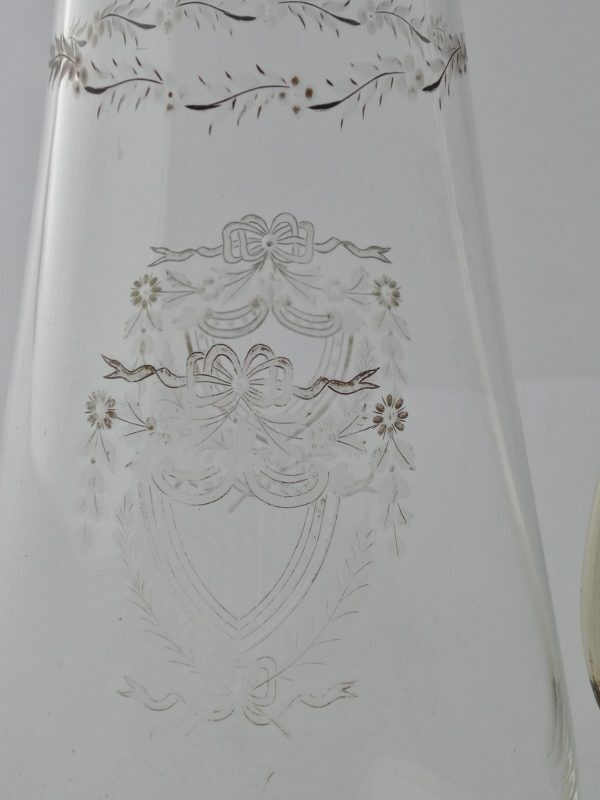 The glass is very clear and in good condition.